Roswell High School Mr. Lee Teacher Website - Great programmers are smart, creative problem solvers, persistent AND collaborative! Welcome to my teacher’s web site. Please use the green buttons above to find information needed to assist you with your class work. If you have any questions, contact me through my email address. Every Student in Every School Should Learn How to Code! Want a Tech Job? Study this! Spend time on www.javaranch.com/campfire.jsp specifically campfire stories (Start with “Cup Size” and “Cat and Mouse”) then explore some more of the site! Spend time “playing” on CodeAcademy.com. Go ahead and create a logon. Note that the intent is to play and explore! (note: If you’ve got a MAC, you’ll need to google search for the MAC specific JDK. Dr. Java is platform independent). Create your own FREE website. The focus of this initial website should be a beginning portfolio of stuff you’ve done. Don’t get too carried away… The idea here is simply for you to explore and get used to the interface and WordPress design principles. Are you considering whether a computing course is right for you? Many colleges and university require computing for any math, engineering, or science major. Georgia Tech requires computing for all undergraduates (even business). So click on the “Course Info” button above and find out more! Read the overview. 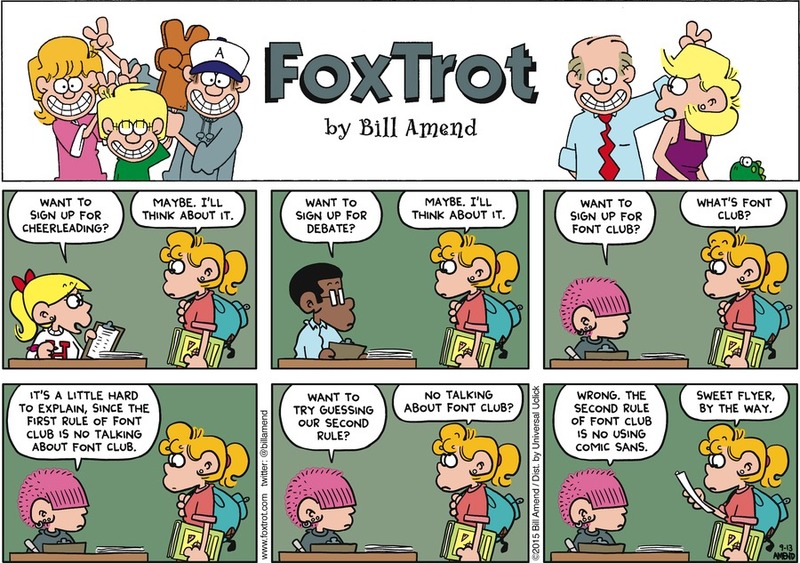 Check out the syllabus. 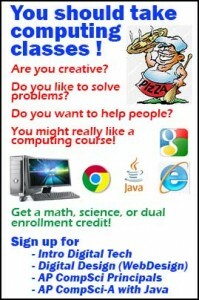 And, consider signing up of a computing class for next year! I am available most afternoons after school (except Fridays) or during your study hall. Be sure to schedule a time!